On the interstate yesterday, we passed this car several times and I just had to have my friend take a picture of this license plate. 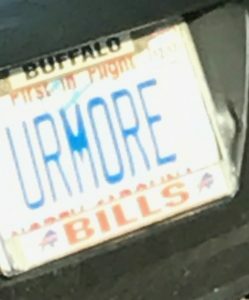 It said “URMORE”. It reminded me of Tenth Avenue North song with the same title. “I’m not worthy because I did” …. Or we go to the other extreme out of fear. Jesus tells us that we are more than any of that. You are more than problems you create. I say to you that you are more than your past hurts, mistakes or failures. You are more than your future accomplishments. You are more than who the devil says you are. You are more than that habit that keeps plaguing you. You are a child of The King (and I’m not talking about Elvis here. 🙂 ) You are created by God to be YOU, uniquely YOU and He wants you to follow Him. Don’t follow the lies the devil or the world tells you. You are more than any habit, any sin, anything in this world. You are a child of the One who created it all; who knows all; who sees all; who leads all. 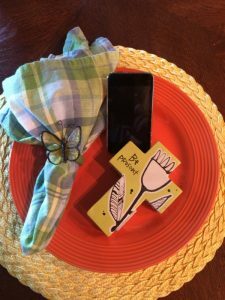 This entry was posted on July 21, 2017 with tags: #make a difference every day, inspire, motivate by Deanna Young. This morning I woke up wondering what to write about today. Some nights I go to bed knowing what I will write about the next morning. Sometimes I write a series so the next blog is a given. But I never really worry about what I’m going to write because usually the Lord gives me the topic at some point. This morning I woke up still not sure what I was going to write about and when I took our little dog out, there it was!! Right there in the sky. It was there yesterday morning, too but so bright and clear this morning. It was a wink and a smile. As soon as I opened the patio door shades, I said “well good morning, Lord” and it was as if He said “good morning, Deanna” and smiled at me. I said, “I was wondering what to write about” and then it was as if He winked at me. I’ve been watching Christmas movies on the Hallmark channel this week (Christmas in July) and on a few of them there is a Santa Claus who has that magical smile, twinkle in his eye and a little wink to let the child, or even the adult know, that he’s got this thing covered….that there is a little extra special love and Santa magic going on. That’s how I felt when I saw the moon crest and the bright star next to it. God was giving a wink and a smile that He’s got today covered and this whole week as I go to Proverbs 31 She Speaks writer and speaker conference. I cannot wait to see what He has in store for me this week. It’s going to be fun to spend time with new and old friends and hear some great speakers and bring back lots of ideas. I want you to look around today and see God’s wink to you. He’s got you covered in your worries, your fears, your good times and your bad. He smiles down on you when you show love to your neighbor and kindness to a stranger. Sometimes He’s right there just waiting to be noticed in the smallest of things…. like a wink and a smile. Pay attention so you don’t miss Him. This entry was posted on July 20, 2017 with tags: inspire, motivate, smile, wink by Deanna Young. So I end up staying up too late of an evening or getting up too early in the mornings in order to pack in everything I want to get done so I feel productive at the end of the day. The older I get I realize that it’s not a wise choice. Ten o’clock rolls around and I know in order to get the 7-8 hours of good sleep my body needs, I need to be heading to bed. But I think I will do just one more thing or read one more chapter in my book or finish watching one more episode of Everybody Loves Raymond. I usually head to bed around 10:00 or 10:30 but end up reading or looking at the emails on my phone before I go to sleep. Then when the alarm goes off early the next morning, I am so exhausted and vow to go to bed earlier the next night. But 10:00 pm rolls around and I forget that promise to myself. I forget how tired I am going to feel the next morning if I don’t get the proper sleep. How many times do we go down this same path with other things in our lives. We know what we need to do but we just push the sin envelope a little further. Alarms go off and we know we should do things differently but we start over the next day in the same destructive pattern. What bad habit are you dealing with today that you know every time you go down that path that you shouldn’t be doing it? What alarm goes off in your head trying to warn you and you just ignore it? What consequences are you paying from your behavior that you know you need to change? 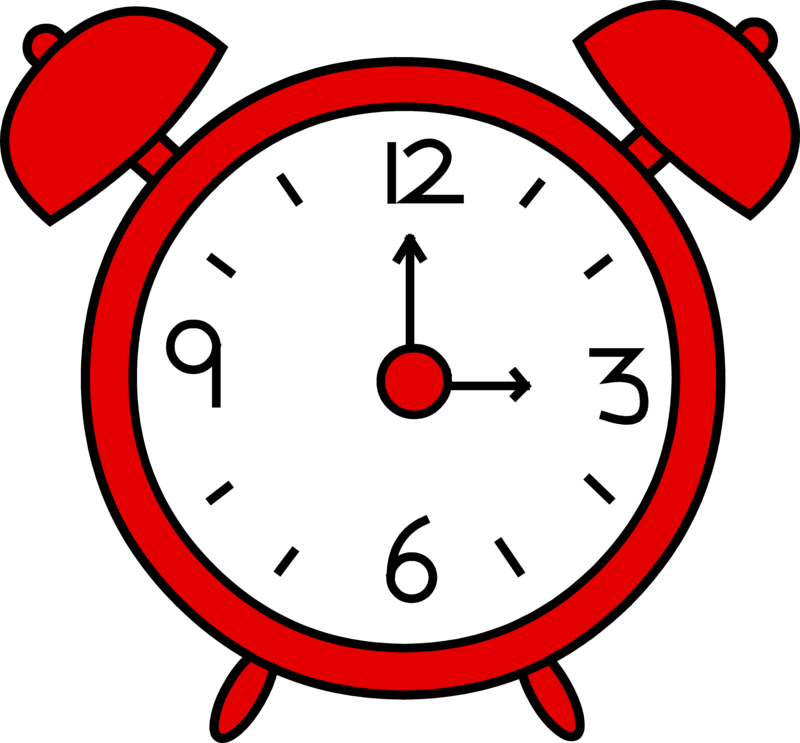 I know the one I mentioned is an easy fix – go to bed earlier! Some other habits we deal with and decisions we avoid are NOT so easy fixes, but the Almighty Fixer is waiting to help you break that habit and get you on the right path to peace. It’s time to wake up and quit ignoring the alarm. Consider this reading a sign for us all to make the necessary changes to living in harmony with the Spirit and not against it. It is in this we find freedom and peace ……and perhaps, even a little more rest. Romans 8:5 – Those who live according to the sinful nature have their minds set on what that nature desires; but those who live in accordance with the Spirit have their minds set on what the Spirit desires. 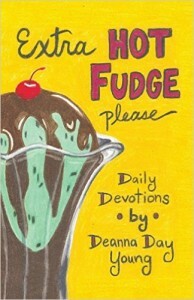 This entry was posted on July 18, 2017 with tags: Jesus, make a difference everyday, motivate, relax, rest by Deanna Young. The fourth “D” in my Quitters Club Series is Depleted. Sometimes we need to take a break from some of those things that deplete us. Things like technology for example. Do you feel like you are married to your cell phone? You can’t get away from the demands of other people? The phone dings when an email enters your inbox. A cute little sound goes off for a text message and a new ring tone sounds for a call. Others know you can be reached 24/7, 365 days a year from any form of technology available and you can’t let go. You can’t disengage from work or the demands of others. You are ready to throw in the towel and quit. Don’t do it! Just take a break. Start by turning your phone off for one hour. Take a break and rejuvenate – watch a movie, take a nap, get a massage, swing on a swing, take a walk, read your Bible or a good book. Dare yourself to leave your phone in the car and have lunch with a friend. Be totally present and no distractions. Just listen to what they have to say and enjoy a technology-free lunch or dinner with rich conversation. Whatever it takes to get yourself re-energized from your depleted stage, do it because quitting life is not an option…..but enjoying life is! 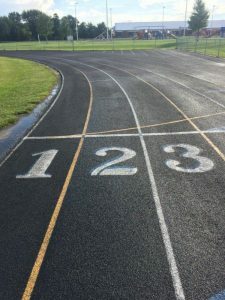 This entry was posted on July 15, 2017 with tags: energize, make a difference, motivate by Deanna Young. The Quitters Club – “D” Number 3! The third “D” in this series is “Doubt”. How many times does Doubt cause us to want to quit? We doubt that we can do something. We doubt that things can happen. We doubt our calling or purpose. Doubt breeds self-defeat and nothing good can come from that! Tonight I was watching the ESPY Awards (hosted by my very favorite professional athlete of all time, Peyton Manning!) The Pat Tillman Award was given to a soldier who had survived an explosion in Afghanistan which left him with fourth-degree burns over his whole body, a disfigured face, loss of his hands and multiple other injuries too numerous to list. Doctors doubted that he would live. They doubted that he would ever walk again. They doubted he would go home to be with his wife and son. But he never doubted. He beat all odds. He rehabbed to walk, to run, to compete in the Warrior Games and to jump out of a plane…..for the 130 something time! And although others doubted, Master Sergeant Israel Del Toro (also known as D.T.) accomplished the unprecedented feat of a 100% disabled soldier. He reenlisted in the military. His story is amazing! He is an excellent example of overcoming doubt and kicking the original Quitter’s Club mentality out the door and believing in hard work and determination. See D.T.’s story here and be inspired to never DOUBT! Whatever is in your heart and soul today that has taken a back seat to doubt, bring it up front and ask God to help you carry on and kick doubt out the window. Quit doubting and start doing! If D.T. can……so can we! This entry was posted on July 12, 2017 with tags: determination, espy awards, inspiration, israel del toro, motivate by Deanna Young.